Subscribe to email ​alerts and get the latest foreclosed property listings, public auction schedules, real estate investing tips, and more. It's free! 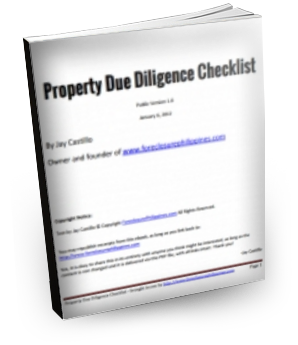 You'll also receive a free copy of our ﻿﻿Property Due Diligence Checklist﻿﻿! Enter your email below and we'll send the checklist to you.